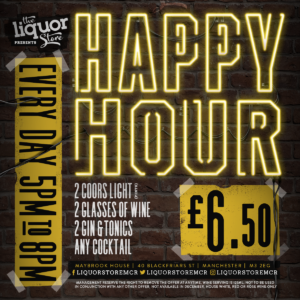 Calling all Game of Thrones fans – Bierkeller is throwing a GoT themed Halloween party that you will NOT want to miss! 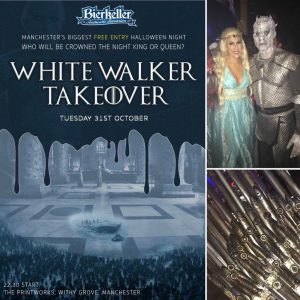 The White Walker Takeover is happening on Halloween night, 31st Oct and promises to be Manchesters biggest Halloween party, and it’s FREE ENTRY. 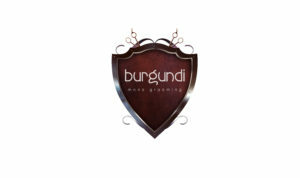 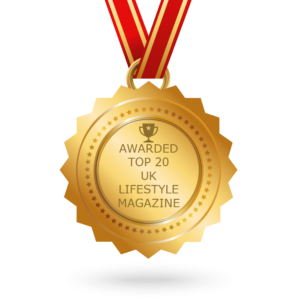 However, if Game of Thrones isn’t your thing (yes not ALL people like GoT – we were shocked too!) 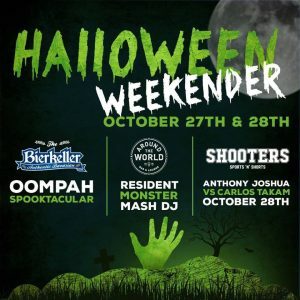 the Halloween Weekender is taking place on Oct 27th and 28th with an OOMPAH Spooktacular event in Bierkeller, while Shooters Sports Bar hosts the Anthony Joshua V Carlos Takam fight on the 28th and Around The World Bar’s resident DJ hosts a Monster Mashup that you won’t want to miss!